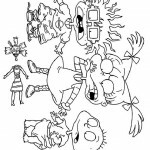 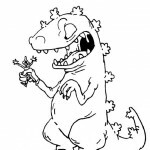 Welcome to our Rugrats coloring pages! 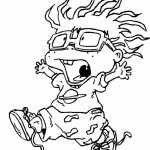 Rugrats is an American animated television series created by Arlene Klasky, Gbor Csup, and Paul Germain for Nickelodeon. 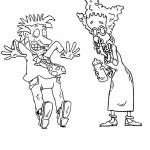 The series premiered on August 11, 1991 and aired its last episode on June 8, 2004. 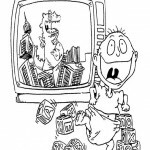 The show focuses on four babies and their day-to-day lives, usually involving common life experiences that become adventures in the babies imaginations. 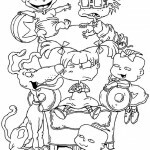 It was one of the first three Nicktoons and also aired on Nick Jr. in 1995. 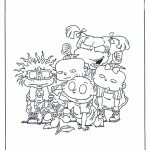 The show originally revolved around a group of children (three boys and one girl), including infant Thomas Tommy Pickles (whose family moved from Akron, Ohio to their current location in California), toddler Charles Chuckie Finster, and the twin-infants Phillip Phil and Lillian Lil DeVille. 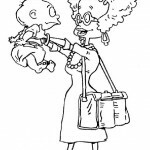 The toddlers are able to communicate with each other through baby speak, although viewers can understand them, because it is translated. 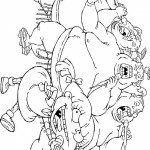 Often, they mispronounce words or use poor grammar and their speaking is full of malapropisms. 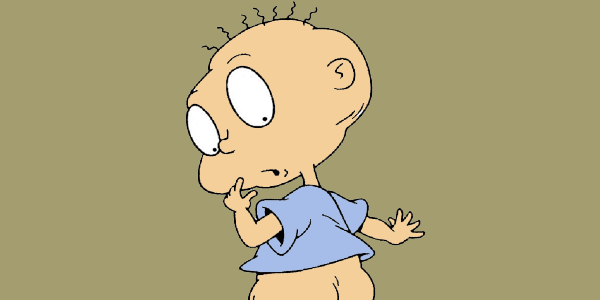 An example of this is using the word poopetrator instead of perpetrator The group is often reluctantly joined by Tommy’s cousin, Angelica Pickles. 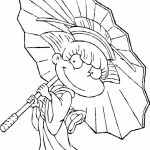 At three years old, Angelica is able to communicate and understand language from both the toddlers and the adults, which she often uses as an advantage when she wants to manipulate either party. 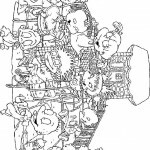 She is usually very mean to the babies. 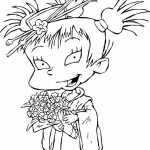 Susie Carmichael, who lives across the street from the Pickles, is also able to communicate on the same level as Angelica, though she isn’t manipulative. 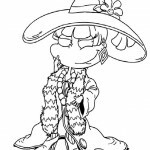 As a result, Angelica and Susie often clash. 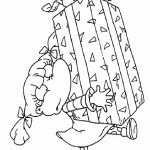 In 1998, a new character was introduced. 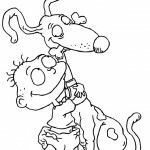 After The Rugrats Movie, in which Tommy’s baby brother Dylan Dil Pickles is born, he was soon added as a character on the show. 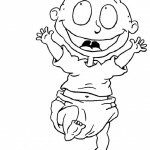 As a four month old baby, Dil is not able to communicate with anyone. 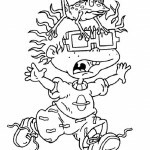 Later in 2000, after Rugrats in Paris: The Movie was released, Kimi Finster was added as a character. 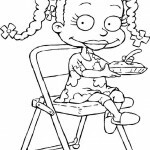 She is Chuckie’s stepsister. 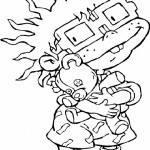 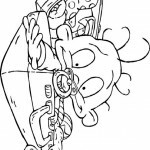 Ready to start coloring a lot of babies with our Rugrats coloring pages?